Sign up before April 15th to get the early bird discount and become one-step closer to ALL DAY FUN – inflatables, field trips, sports, and more – for your child. 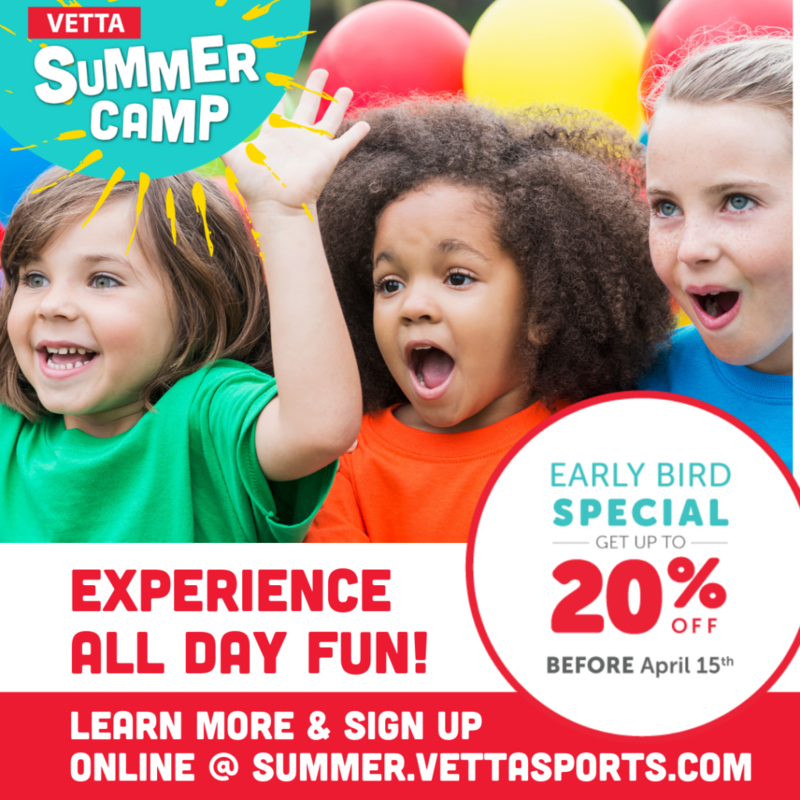 With over 25 years of experience, Vetta Sports Summer Camp is the place kids want to be – and where parents can trust they’ll be safe. Packed with friends, sports & games! From sports and inflatables to water fun and friends, there’s countless reasons why your child will ask to return – year after year.